It seems that most new watch designs these days are trending toward integrating digital components and analog components to create a unique blend of modern technology and classic technology. 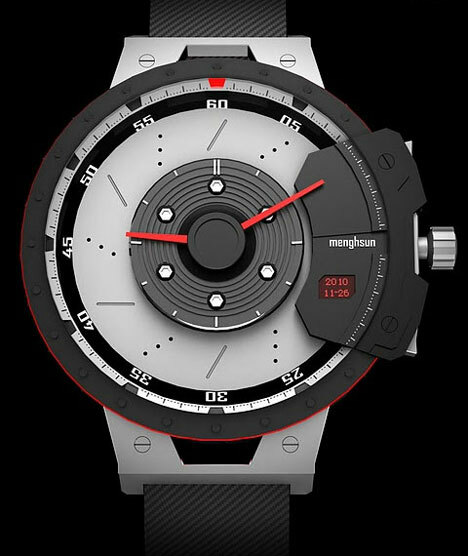 The Shift Hybrid watch concept is a perfect example of that wonderfully unusual blend. The concept, designed by Menghsun Wu, recalls the design mentalities of automobile manufacturers. It uses the rubber, stainless steel, glass, aluminum and carbon fiber that are often found in car designs. But even the appearance of the watch face and other components look distinctly car-like: the face resembles a speedometer while the digital date readout looks a lot like a car odometer. Even the watch band brings a car’s seat belts to mind. 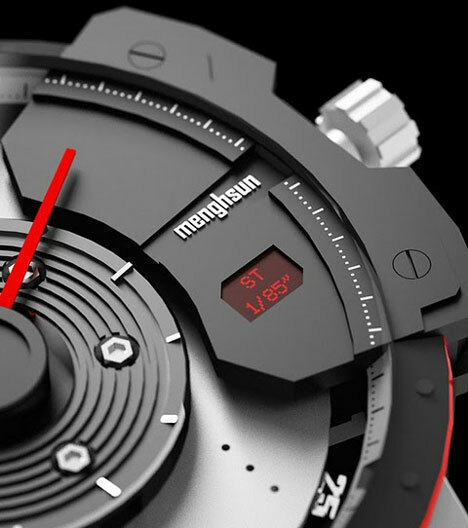 The analog components of the watch are all controlled digitally, keeping them super-accurate. 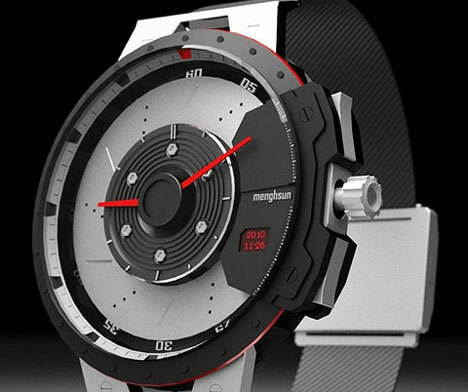 The Shift Hybrid watch is still a concept at this point, but if it ever makes it into production it would be the perfect gift for any car lover.